Deputy leader of British Labour party says Paralympic qualifiers in Malaysia should be cancelled if the country refuses entry to Israelis. Tom Watson, the deputy leader of the British Labour party, on Monday called for the international Paralympic Swimming World Championships being held in Malaysia to be cancelled if the country refuses entry to Israeli competitors, the British Jewish News reports. Watson made the comments after Malaysia’s Prime Minister, Mahathir Mohamed, told an audience of Oxford students that he was denying visas to the Israelis because he disagreed with the actions of the Israeli state. Malaysia announced recently that Israeli swimmers would be barred from an upcoming competition that will serve as a qualifying event for the Tokyo 2020 Paralympics. The country’s foreign minister then took things a step further and announced that "Malaysia will not host any event which has Israel participation or representation." Mahathir, in his remarks at Oxford, defended his country’s right to “keep its borders closed” to Israelis while denying that he was anti-Semitic. Watson made the demand to Foreign Secretary Jeremy Hunt, who earlier this month visited Malaysia. Mahathir has just concluded his second visit to the UK in eight months, noted the Jewish News. 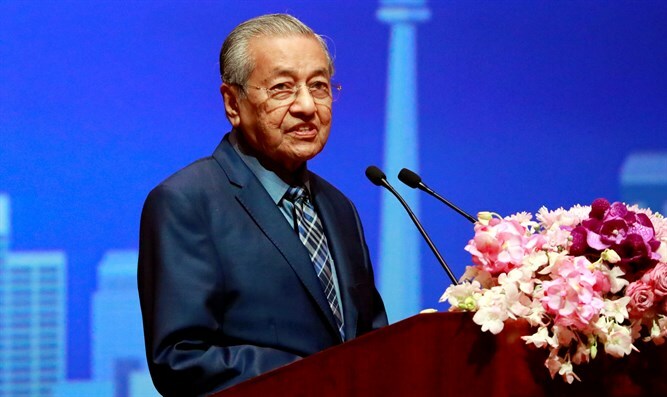 More recently, the Malaysian Prime Minister said that Jews are "hook-nosed" and accused them of creating problems in the Middle East. Last August, Mahatir defended his right to be anti-Semitic, arguing that anti-Semitism is an artificial construct created to silence critics of the Jews. Malaysia has a history of not permitting Israeli athletes to enter its territory. In 2016, the Israel Sailing Association withdrew athletes from a competition in Malaysia after they were denied entry visas to the country. Later, Israel pulled its team from the World Team Table Tennis Championships in Kuala Lumpur following a row with the Malaysian government over entry visas. In 2017, Malaysia decided not to host the 67th FIFA Conference because an Israeli delegation was scheduled to participate.